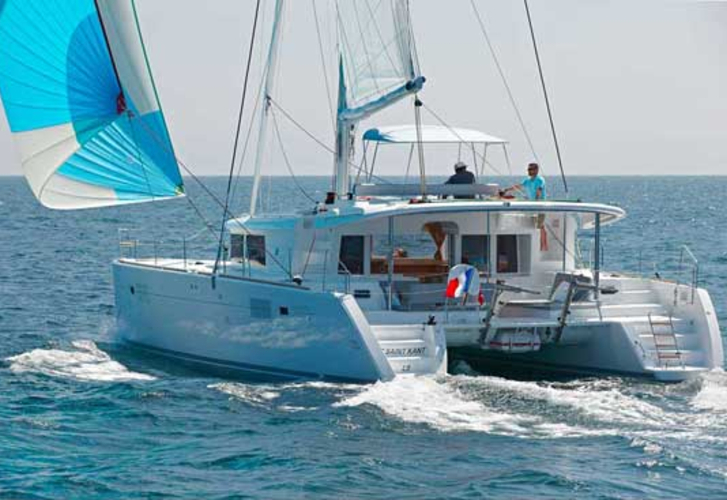 Sailing boat Lagoon 450 called SoulMate was produced in 2018. 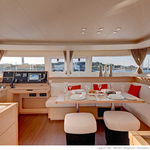 We offer this vessel from harbor Lavrio in surrounding area of Athens. SoulMate is certified for 10 pax. 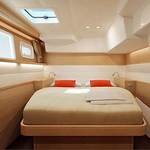 Layout of the sailboat is 10. 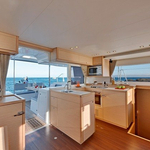 Lagoon 450 SoulMate is equipped with 6 cabins. 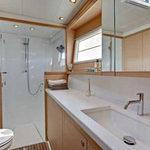 For guests disposal there are 4 WC with showers. With engine 54 SoulMate can move really fast. SoulMate is 13.95 meters long and 7.84 meters wide. Draft is 1.3 meters. 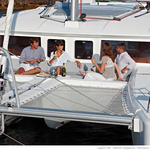 Look for more yachts by going to the section Catamarans Lavrio. 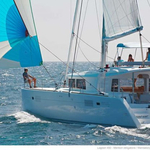 Sailboat's equipment involves : TV, 2 refrigerators, Water maker, Coffee machine, Electric winch, Flybridge, Dinghy, Anchor electric windlass, Solar panels, Inverter 12v-220v, Freezer, Wc pump electrical, Toaster, Mainsail with lazy jack, Gps plotter, Autopilot, Mobile phone (netted), Outboard engine. . Nonrefundable caution has value 4000.00 EUR. 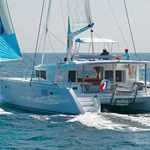 Choose our offer and spend great time on the deck of SoulMate. This Lagoon 450 from Lavrio from Greece Use the search engine for search for clicking here: Catamarans Greece.